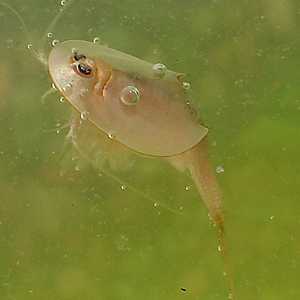 The triops are just over 2 weeks old now, and as cute as a button. Tragically one hatchling died a few days ago, but the 7 that are remaining are doing well. Have a look at the photos.